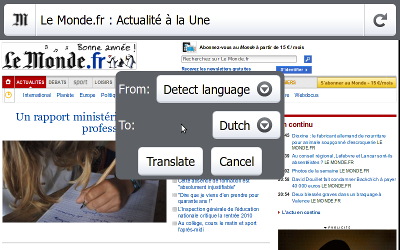 GoTranslate is an extension for Firefox Mobile (fennec) which allows to translate the visited pages via the Google translation service. You can access to this feature into the "Site" button, or via the JoliToolbar if this extension is installed. 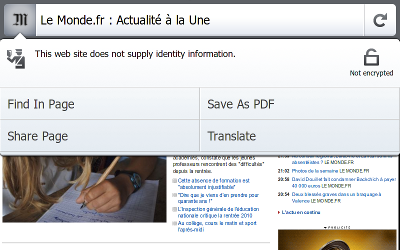 Note: like the Translate service of Google, https pages cannot be translated.